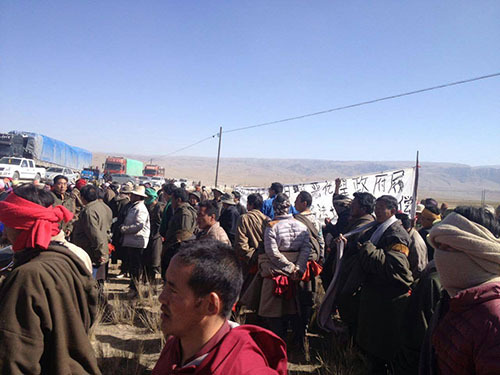 (TibetanReview.net, May03, 2015) – Two Tibetans were held and four others went missing on Apr 26 after residents of several villages in Gengya township of Sangchu County, Gansu Province, protested against the forced acquisition of their land for a highway project without any promise of compensation. The exile Tibetan administration said on its Tibet.net website May 1 that the project was for the extension of a national highway and named the detained Tibetans as Sonam Gyatso and Sangye Khar. 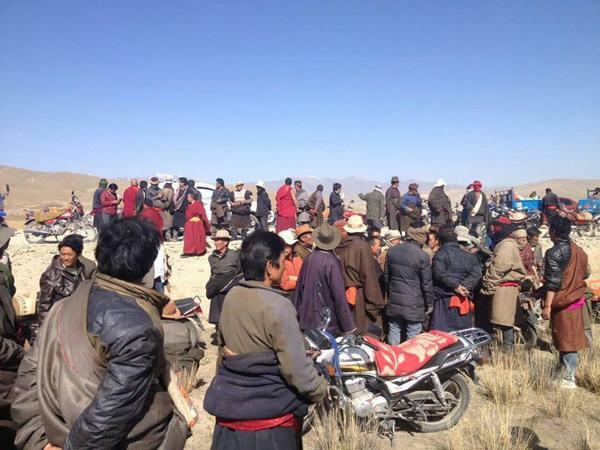 The report said the Tibetan pastoral villagers were protesting against the denial of compensation for the acquisition of their grazing land. They tried to block the movement of earth-moving equipment with their bodies. Radio Free Asia (Washington) earlier reported Apr 21 that the protest had been continuing since Apr 10. The project is seen as being likely to affect about 689 Tibetans and their livelihood. The RFA report said the villagers were particularly concerned about the fact that the road would cut off a year-round water source used by herders at a place called Demey Natak. “We are seriously hurt when our grassland, an integral part of our lives, is cut into pieces for the convenience of Chinese transport,” it quoted a local source as saying, speaking on condition of anonymity. Rather than addressing the Tibetan villagers’ concerns and providing them compensation, the Chinese authorities called in some village elders for questioning and threatened them, the report quoted the source as saying.